Hi everyone. I really appreciate your opinions for my case and hope you will have a wonderful day. I borrowed my dad's car last week and involved in a car accident. I stayed in school most of the time, therefore, I was not listed under his policy even though we have the same address. My dad has auto collision and comprehensive coverage but I don't know if his insurance will cover it if I was the driver who had the accident. Go back to the accident. When I was on the turn-right lane, as I approaching forward, she was on the lane next to me (on the driver's side) and tried to merged into my lane. The police said I was on her blind spot that's why she did not see me and hit my car on the driver's side. The police came in to file a report and said she was at fault. He gave me her insurance information and told me to call to make a claim. A day after I filed claim on her insurance, the adjuster contacted and interviewed me. He also asked me to send pictures in which they can estimate the damage on my car. I completed everything now and decided to call the adjuster back. He said he did not know how long it will take since they have to investigate and make something clear with the insurer (the lady who hit me). They also told me to file claim on my insurance and let my insurance deal with them later.As I remember from the accident, the lady did not admit she caused the accident so I think she will lie on the interview with the adjuster. She also did not seem to cooperate. My car is still drivable and the damage estimated about $2500. The police report will be available in the next few days. Should I wait for them to pay for my car or should I file my insurance (AllState) and pay $500 for deductible and let them deal with her insurance (Progressive)?. I just scared it will increase my dad's premium dramatically even though I was not at fault in the accident. I'm so confused and don't know what I should do now. This is the first time I involved in a car accident. Please help me ! Thank you. Report the claim to your father's insurer promptly and let them deal with it. It's why he has insurance and what they're good at. The title of this thread says the other insurance doesn't want to pay. That's not true, is it? Your claim hasn't been denied. It's in process, so why say something inflammatory like that? A week isn't that long a time for an insurance adjuster to investigate a liability claim. Many companies do it faster, some don't. I will tell my dad to add me on his policy. Do it now. Regardless of what's happening with the other company, he still has to get this issue resolved. Just to be clear, concealing a driver is a material misrepresentation that can get a claim denied and a policy rescinded. Water Damage After Accident - Uninsured Driver at Fault. Help! 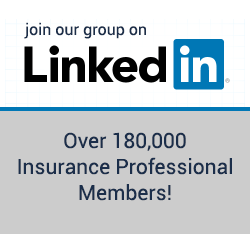 Wise to Call Other Driver's Insurance Company?